As a top-rate Vernon Hills home care agency, Homewatch CareGivers Northshore offers comprehensive home care services, senior and elder care services, Alzheimer’s & dementia care, as well as specialized care for individuals with developmental disabilities to area residents. We are available around-the-clock to provide dependable home health care services tailored to meet the individual needs of your loved one. We work closely with clients and families to craft and deliver customized home care program that provides a perfect balance of services and value. At Homewatch Caregivers our goal is to maintain our clients’ self-determination and self-esteem, while providing them the care they need. With more than 30-years of in-home care experience, our experienced caregivers are ready to ensure your comfort and safety at home. 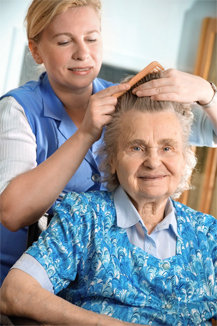 Looking for the Best Home Care Agency in Vernon Hills? The first step to finding the Best Vernon Hills IL Home Care agency is to determine the level of care that is needed. We’ve found that the best advice usually comes from the people who have already experienced what you are going through right now. That’s why we display actual client letters and testimonials on our website from people who have experienced the compassion and care that Homewatch CareGivers Northshore can provide. 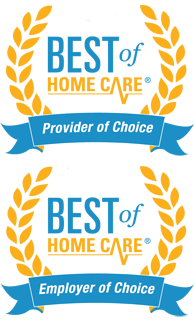 Are we the Best Home Care Agency in Vernon Hills? That’s for our clients to decide, however, after reading our client reviews and testimonials, you can take comfort in knowing that many others that have been in your shoes have trusted Homewatch CareGivers Northshore to provide dependable home health care services tailored to meet the needs of their loved ones. To learn more about the comprehensive in-home care services, senior and elder care services, Alzheimer’s & dementia care, as well as home health care services we provide to Vernon Hills IL area residents and to see what level of care you or your loved one may need please contact us at (847) 616-5600 or CLICK HERE to schedule a FREE – NO OBLIGATION HOME CARE ASSESSMENT. Our experienced and compassionate dementia care team serving the Vernon Hills area understands that caring for a family member with memory impairment could be very stressful. Having an experienced caregiver can help lessen the stress that often comes with caring for a loved one. Through Homewatch Caregivers Northshore our Alzheimer’s and Dementia home care services combines companion and personal care, in an individualized plan tailored to meet your specific care needs. We further address specific cognitive impairments, and help family members cope with the challenges associated with caregiving. Homewatch CareGiver’s offers a special “Pathways to Memory” care program for dementia care. At Homewatch CareGivers Northshore we specialize in providing you with the Best Home Care Professionals in Vernon Hills Illinois.